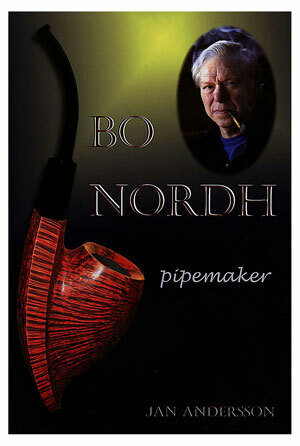 "Bo Nordh was one of the most talented and skillful pipemakers of our time. His reputation steadily grew and was at its high point, when he suddenly died in 2006. Most of his pipes are now among prominent collectors in Japan, USA, Germany, and several other countries." Illustrated with 125 photos (the overwhelming majority of which are full color)this remarkable edition details Bo Nordh's life, his character, and, of course, his art, from the life-altering motorcycle accident which led him towards discovering an innate passion for shaping briar, to his his sudden death in 2006. Many details of the late master artisan's process and philosophy of pipemaking are revealed therein.